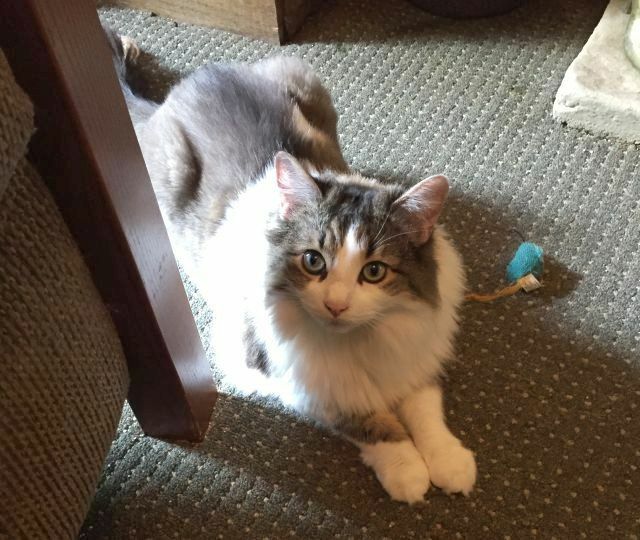 Gracie is a beautiful cat with a lush coat of fur. She was suddenly homeless after her young owner died of a heart attack. She was in foster care where she got along well with other non-aggressive cats and small dogs. She loves to be brushed, and is playful. She's very affectionate and a very large (not fat!) cat. Gracie will make a great addition to most homes. She is in need of a foster home while she awaits her forever home. Gracie is vaccinated, tested negative for FIV and Feline Leukemia, and is microchipped.